So recently I posted my workout story and how I've started being more active thanks to ClassPass. Not only have I been more motivated to be active lately, but I have been wanting to collaborate with more local businesses and people as well. 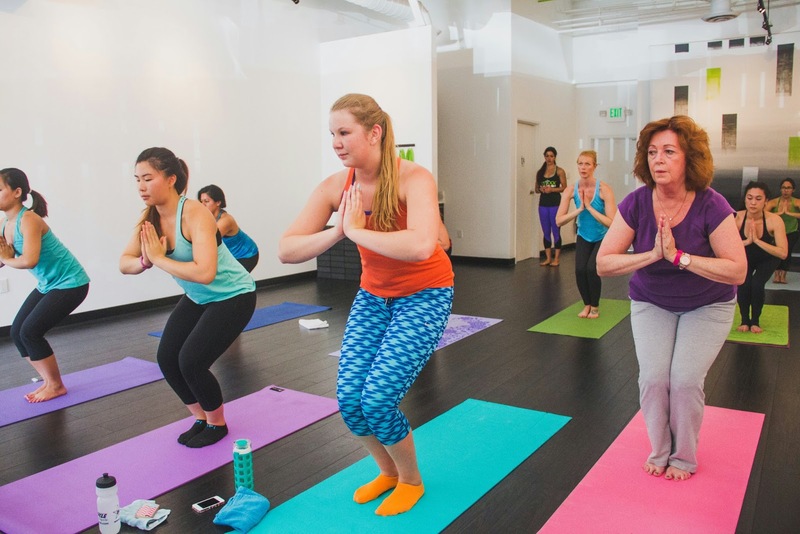 With that, I met Kalila, who is an instructor at Mixx Yoga in Newport Beach and is now a good friend of mine. 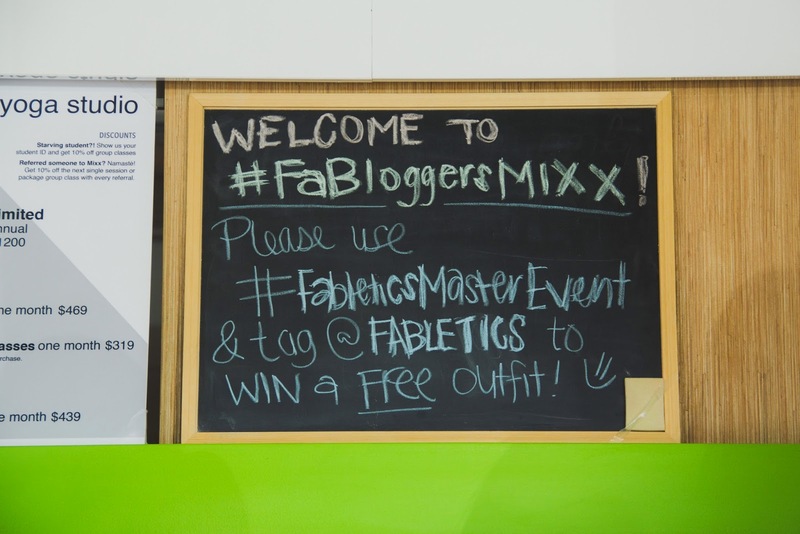 I talked with her about hosting an event with her studio for bloggers and the #FaBloggersMixx was born! 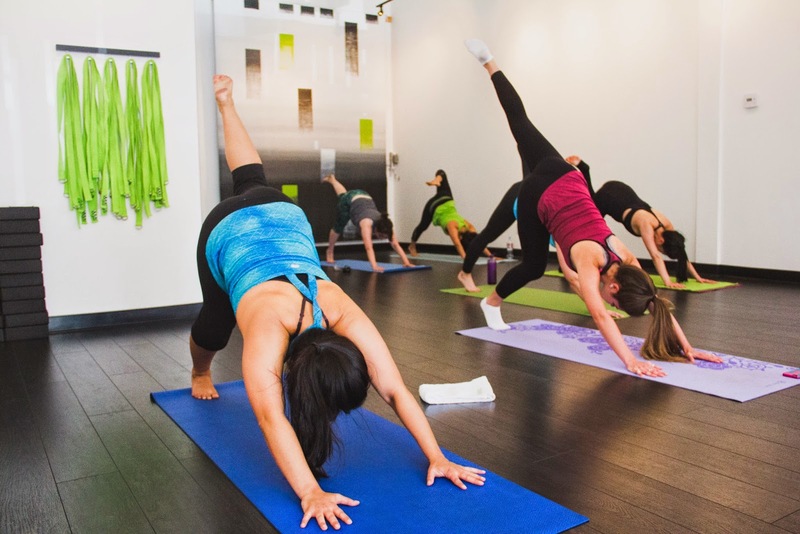 Mixx Yoga is not your typical yoga studio. 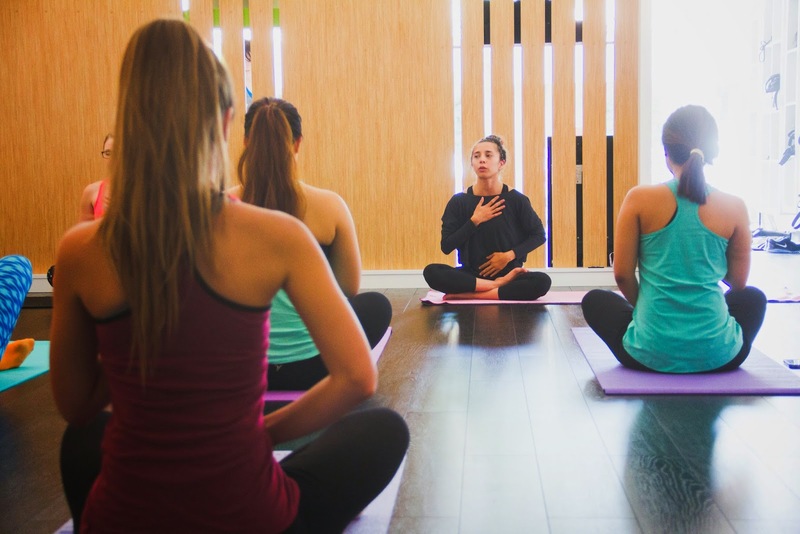 They incorporate cardio into their yoga classes, which allows for people to get a full workout of improving flexibility and balance as well as getting their heart rate pumping and improving your endurance and stamina. And it's cool because it is run by all women! 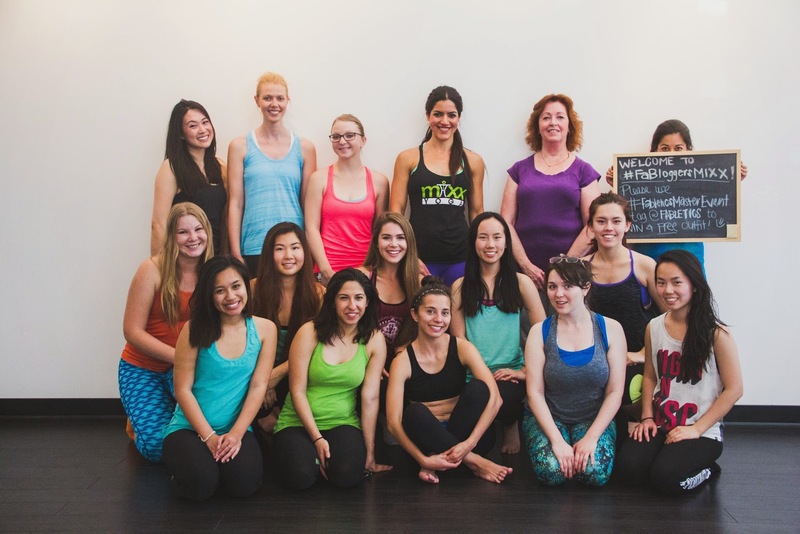 The founder, Mitra Hooshmand, is a neuroscientist that discovered her love for fitness and so Mixx Yoga was founded! All photos done by the lovely Golden Hope Studios! 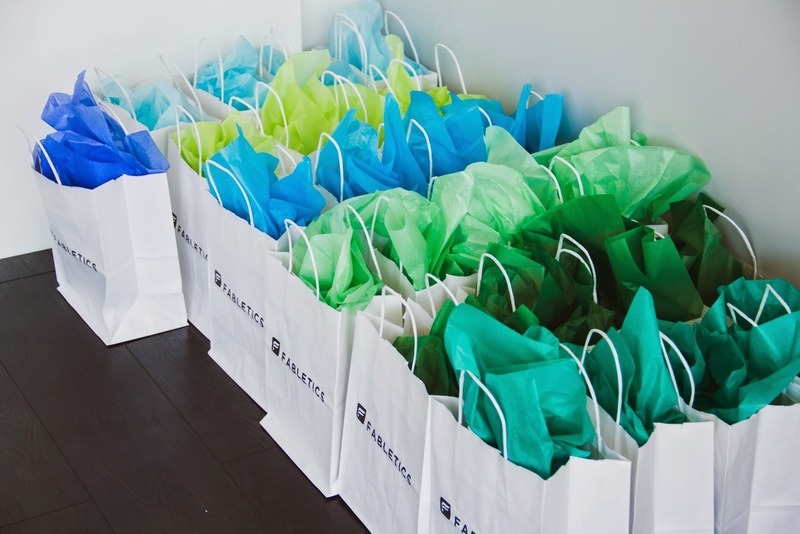 Fabletics also sponsored the event because all the trainers at the studio that day were certified Fabletics Masters. We got some Fabletics socks, cute hair ties (I lost one of them already, sad day), a coupon for a free pair of Fabletics pants, and a gift card from Mixx Yoga. 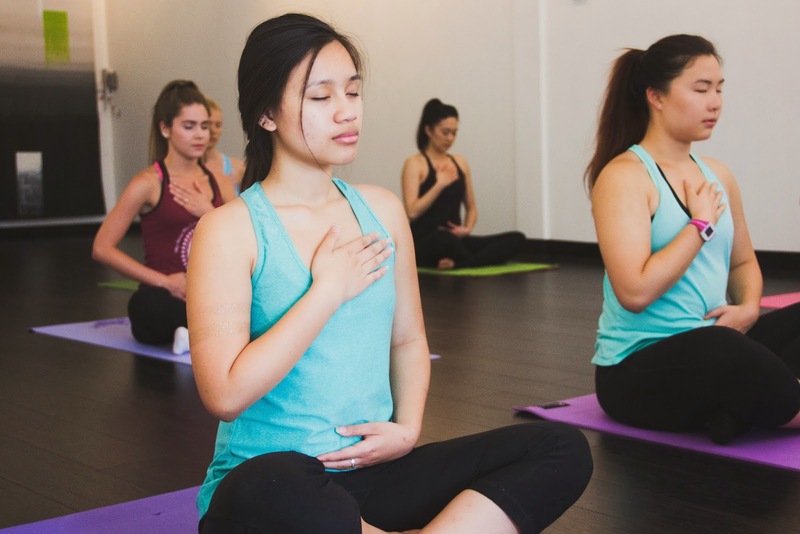 I have never taken a yoga class before, so this one was my first. I knew that it wasn't your typical yoga class, so although it was very intense, it was still great. 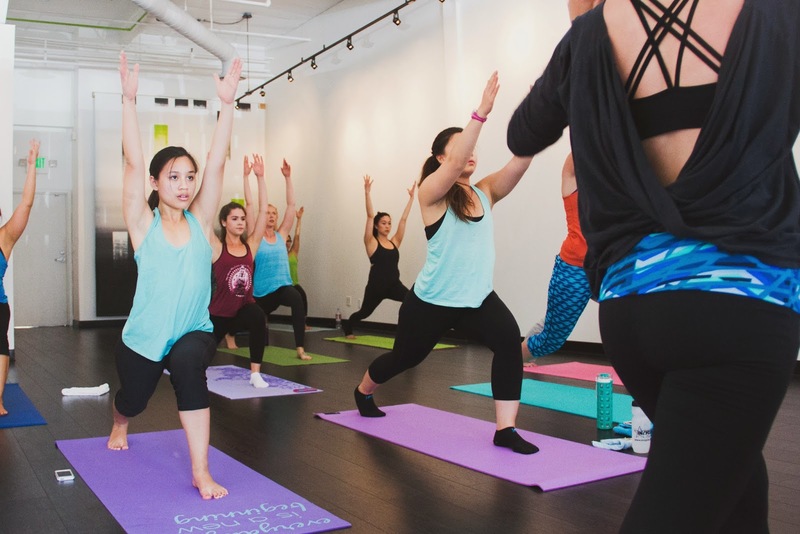 There were about 15 of us bloggers there and I think we can safely say that we got our butts kicked by the yoga - cardio - yoga - cardio - yoga workout! It was relaxing yet very exhausting. It was a great experience though and I am excited to go back again when school gets out! It was a great time to meet and mingle with all these bloggers, none of whom I had met before so it was great! 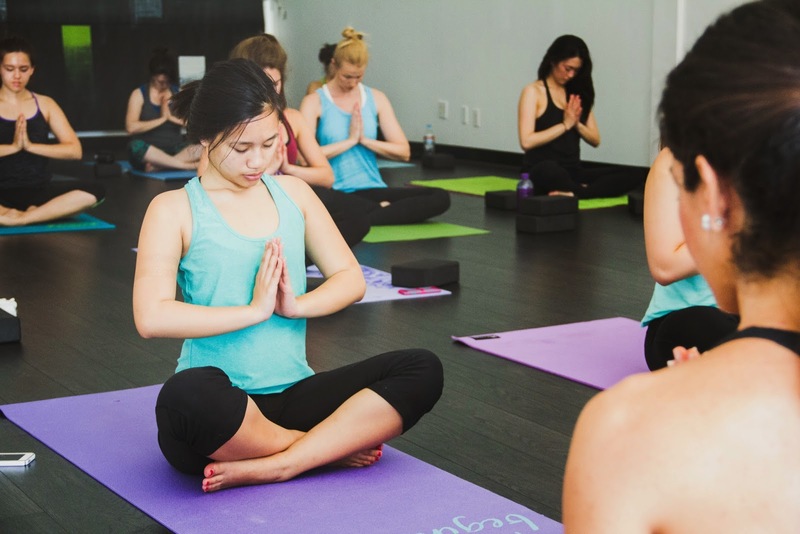 I also decided that I really enjoy being active and that I will for sure be returning to Mixx Yoga for classes in the future! 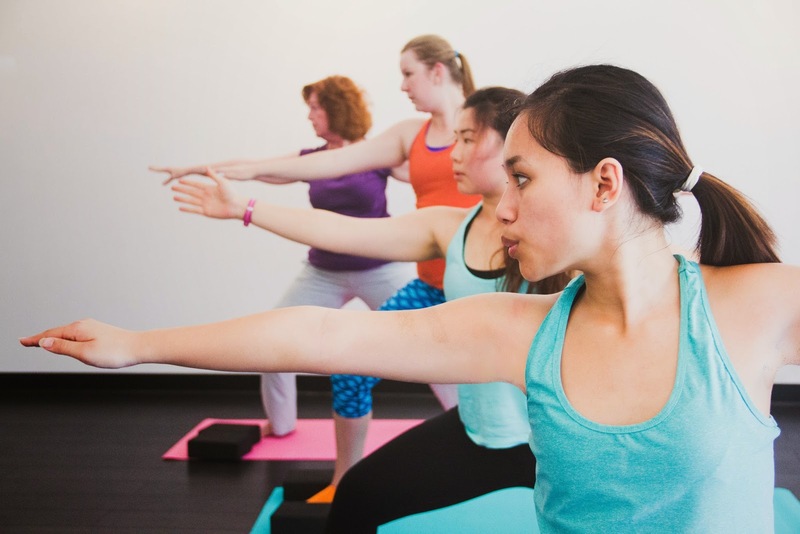 Although they incorporate cardio into their standard classes, they also have yoga classes without the cardio. I'll probably try those classes next. 1. GO TO MIXX YOGA. 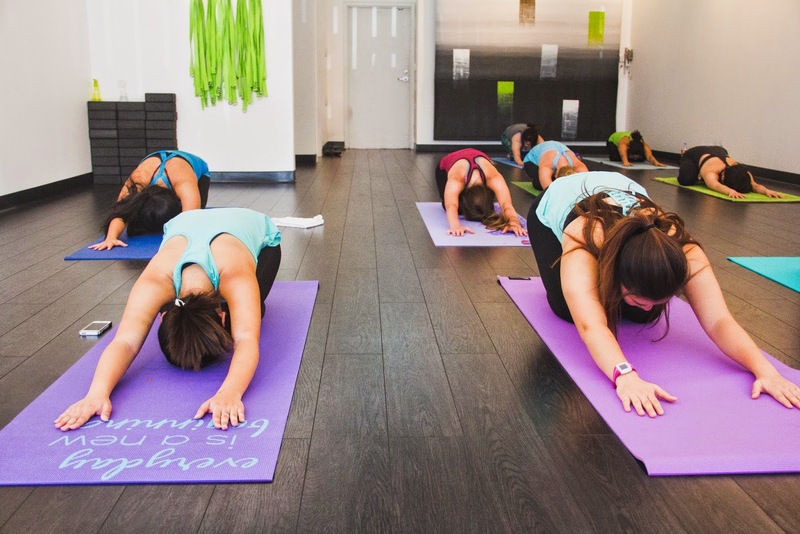 If you want to try working out but want to try something different, I guarantee you Mixx Yoga will be different. And guys, don't be intimidated by all the women in these photos. There are definitely men that take classes here too; there just weren't any male bloggers in attendance here. 2. Network and meet people! It is honestly my favorite thing to do. Whether you are a blogger or a neuroscientist, get out and meet people in your field, or just meet people in general! You never know where unlikely connections may lead you. Trust me. Okay. I know this was a long and photo heavy post, but I hope you are inspired either to work out, go to Mixx, or to go network. Or all 3. Even better. 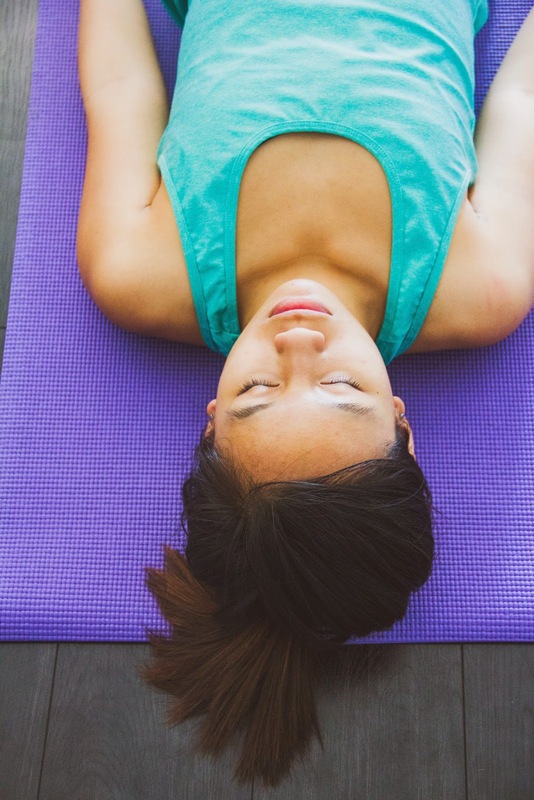 Have you ever done yoga? What are some poses that you think I should learn? I really want to regain my flexibility! 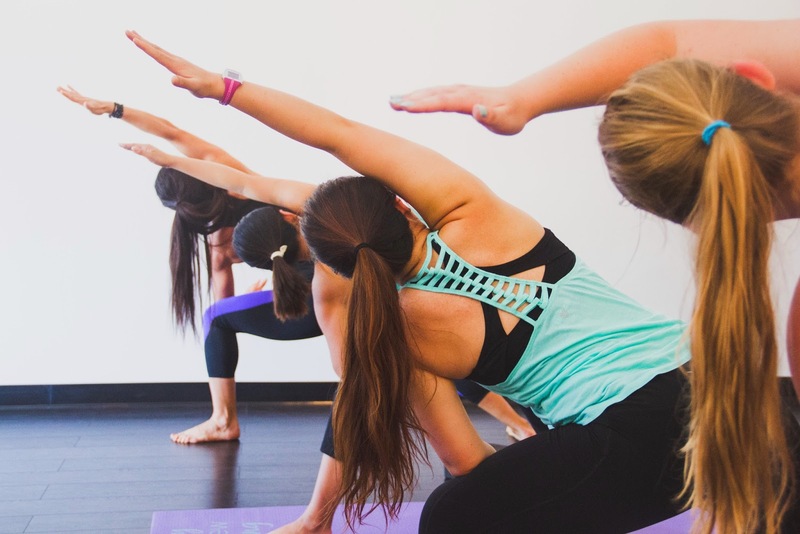 Disclaimer: This post was not sponsored by Mixx Yoga. 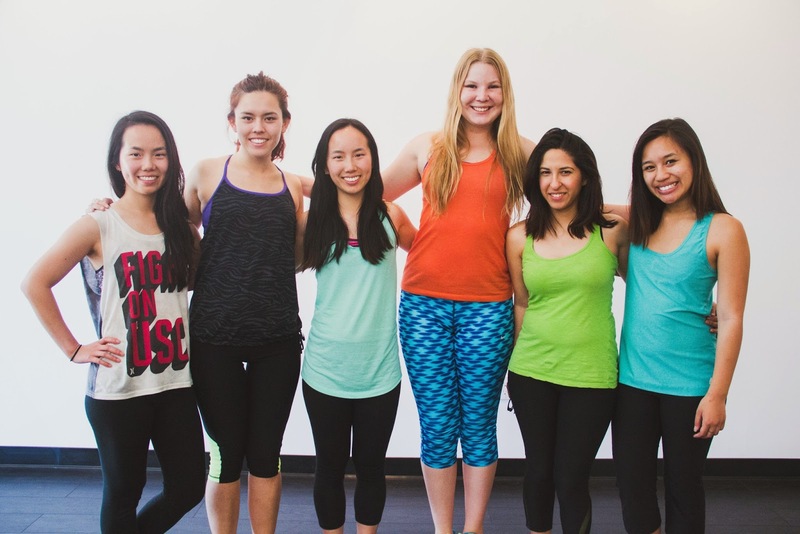 I hosted a blogger event at their studio with their help & with the help of Fabletics. All opinions are my own. Finally, a computer! This looks like such a fun place to go for a workout and some yoga. It makes me miss art school - we did yoga and cardio every day. 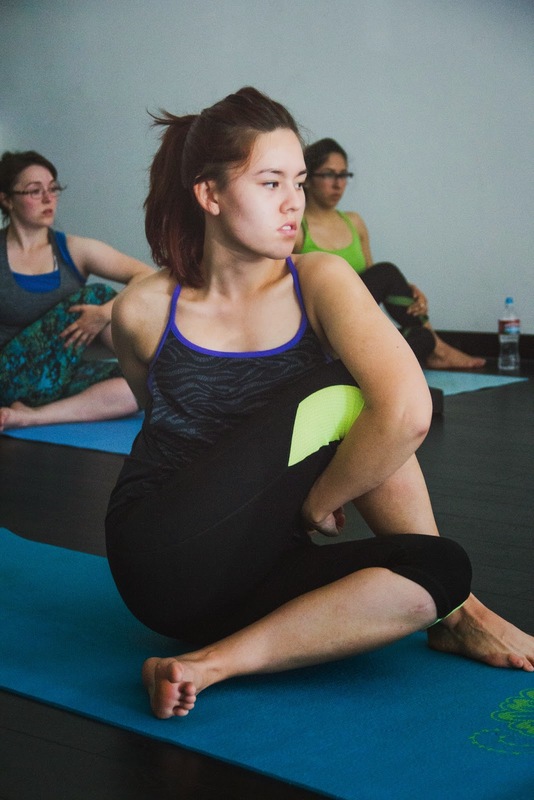 Have you done the crow pose or any variation of poses involving holding up the body with the forearms? Also I love your mat! This looks like such a great event! 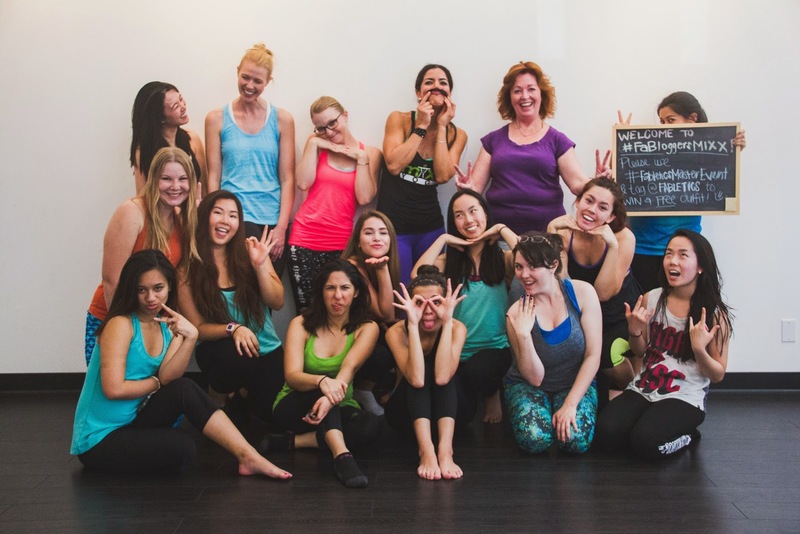 Yoga + meeting new people!? I want in!